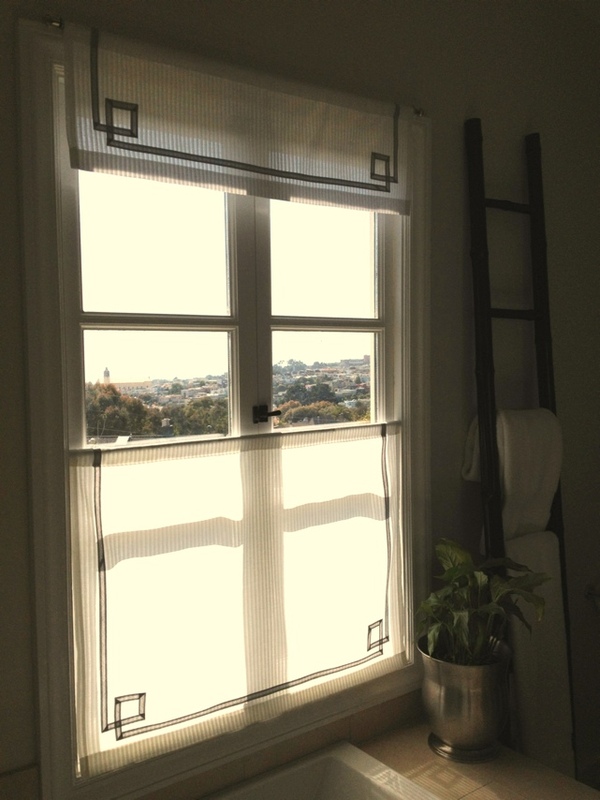 When I bought the roman shades for our master bedroom, I almost ordered one for our bath, too. I’m very glad that I decided to go with something lighter. 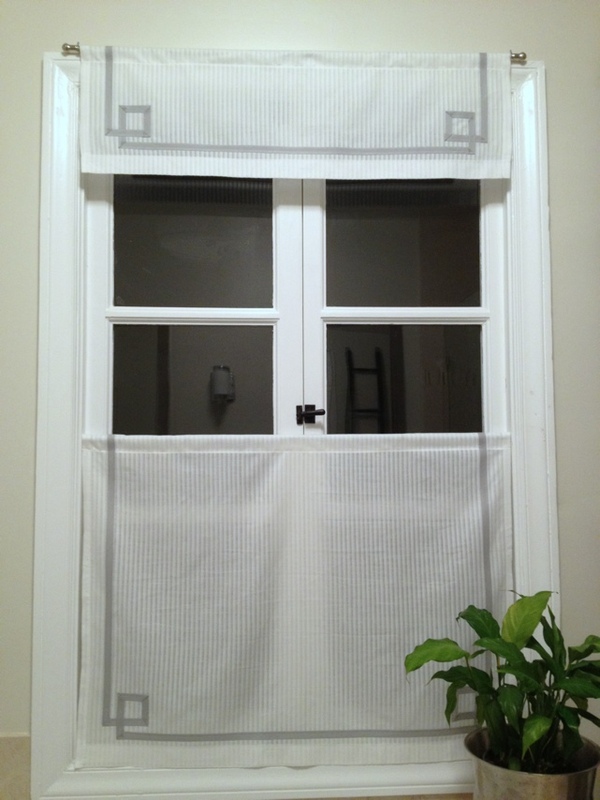 I ended up making a sheer panel for the bottom half and a matching valance at the top. This gives privacy while still letting in light and our view. 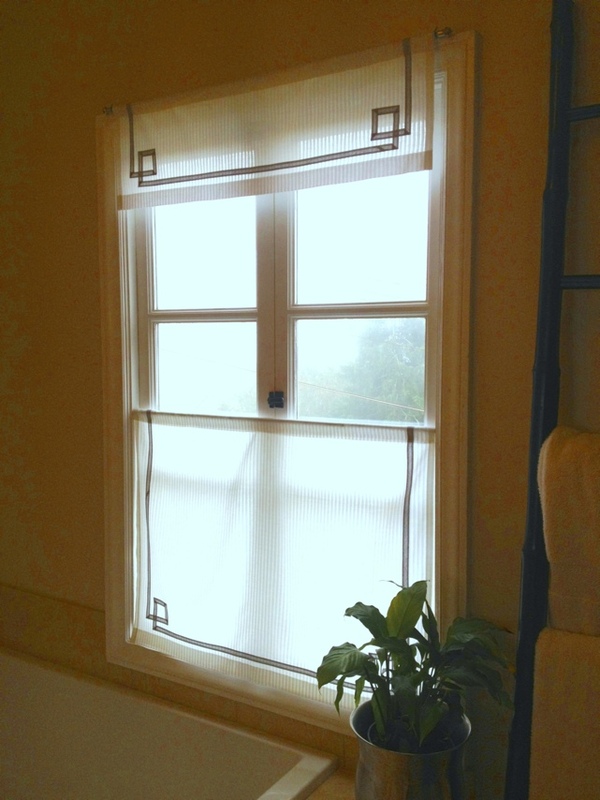 Finished window panels with ribbon detail in master bath. Daytime view is pretty foggy outside, but I’ll keep trying! 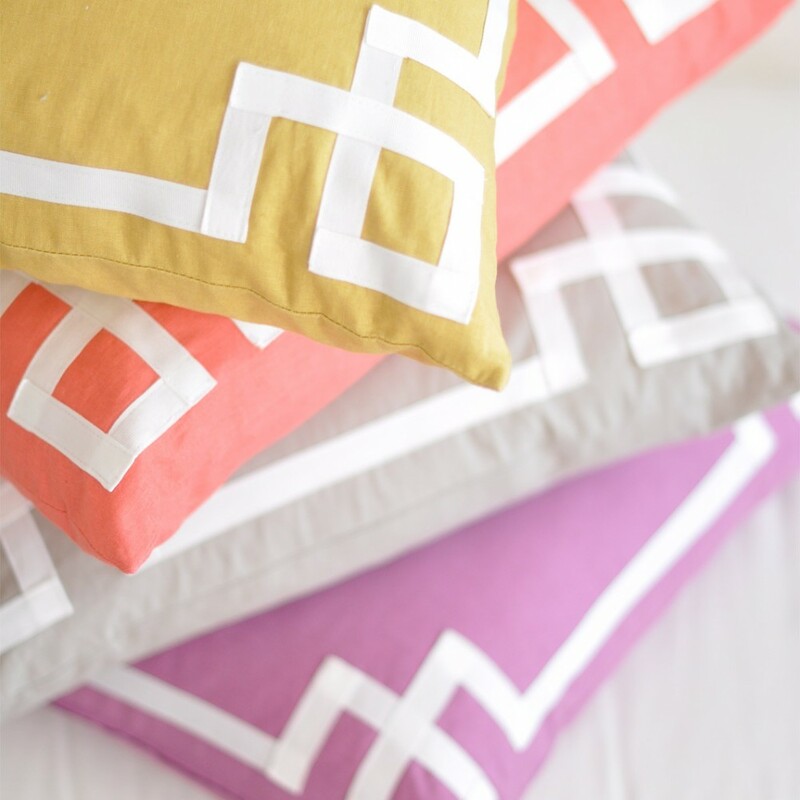 plain shade or panel: you could use a ready-made shade or sew a simple panel. ribbon: I used bias tape/ ribbon, because I had it around the house. 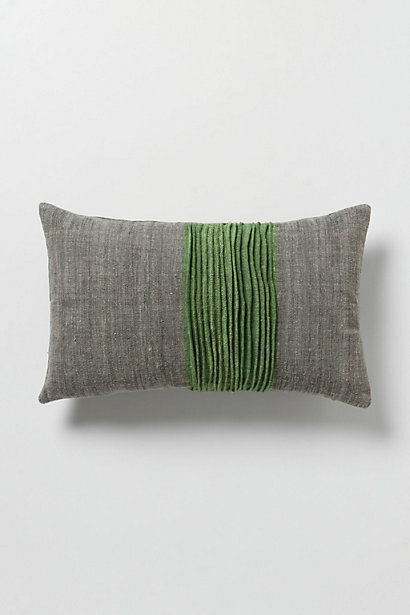 Grosgrain ribbon would look beautiful, too. 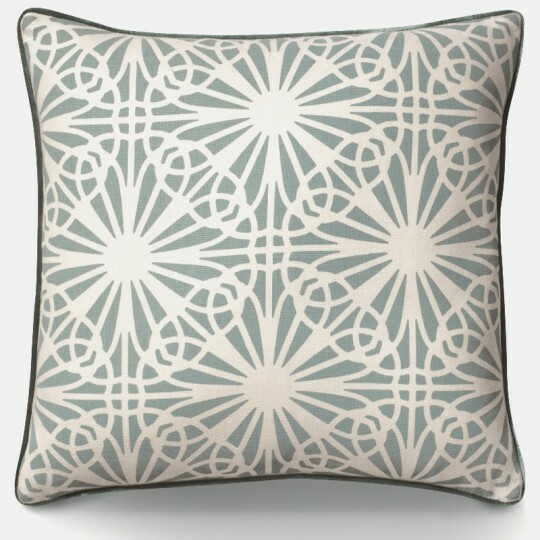 Here’s the pattern I used. 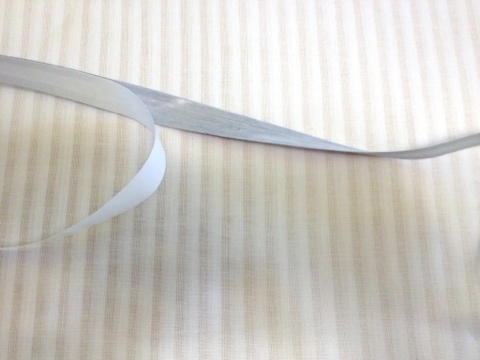 My bias tape was 1/2″ wide. There are lots of variations, some of which I’ll show below, so go ahead and get creative! Once you know what pattern you want to use, measure out a length of ribbon, including a little extra just in case. Apply the Heat’n Bond Lite to the back of the ribbon according to the instructions on the package. 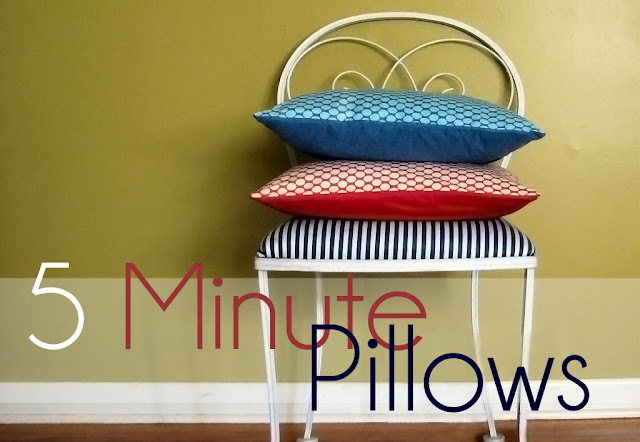 Peel off the backing in short sections and iron onto your fabric, following your pattern. 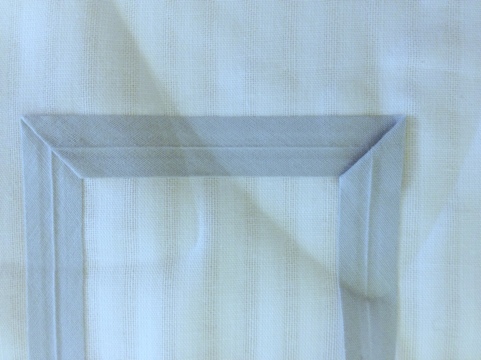 Mitre the corners by laying the ribbon up to your corner, then folding it back on an angle. 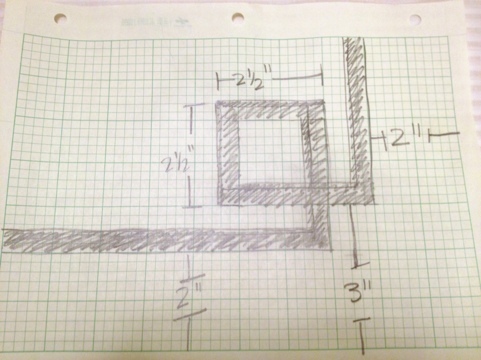 Mitered corners. On the left, you can see that adding a small triangle of Heat ‘n Bond helped the corners lie neat and flat. 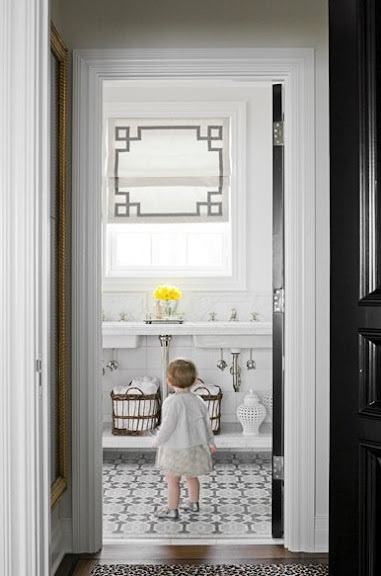 Here are some other great examples of ribbon borders on window panels and shades. There are so many possible patterns and techniques. 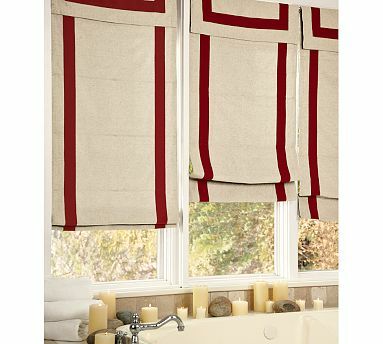 These ribbon border roman shades were sold by Pottery Barn a couple of years ago. 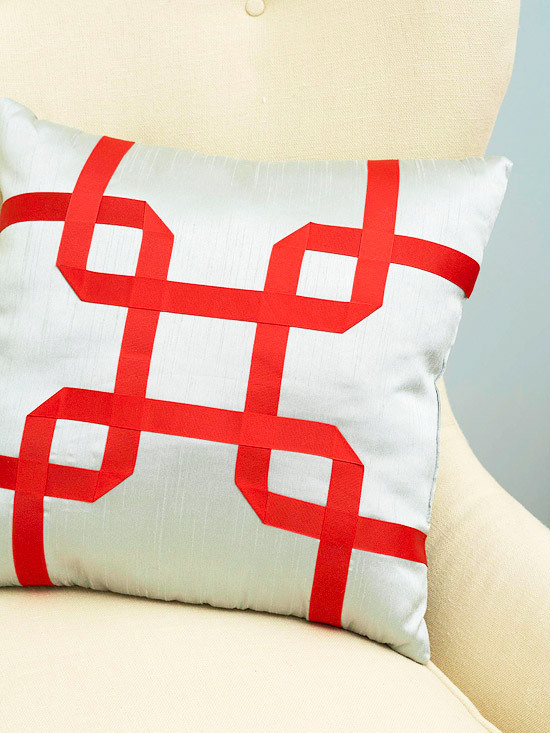 I like the use of the wide ribbon and simple pattern. This will be the inspiration for our boys’ shades. Another simple and elegant ribbon border by Wendy at The Shabby Nest. I would love to do something like this in our kitchen, too! I fell in love with this beautiful picture on Pinterest, but I cannot find the original source. If you find it, please let me know, so I can give proper credit. I love the detail on the ribbon border. It was too ornate for our bathroom, but I am looking for a place to use it! Pretty shade with border by Elisa at What the Vita. I love the orange ribbon and the way the shade looks layered with the drapes. 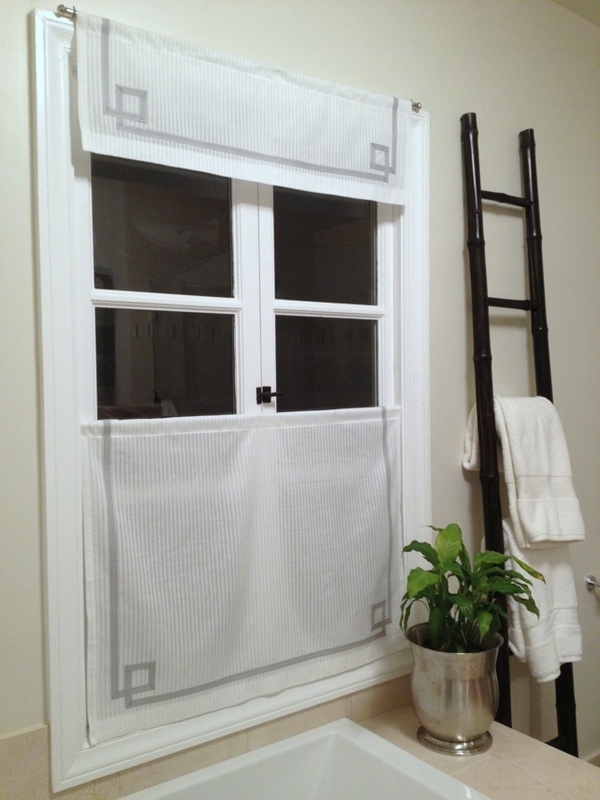 She used glue to attach grosgrain ribbon to a plain roller shade! I’m going to look at her tips when I do my boys’ shades, since I won’t be able to iron directly onto them. 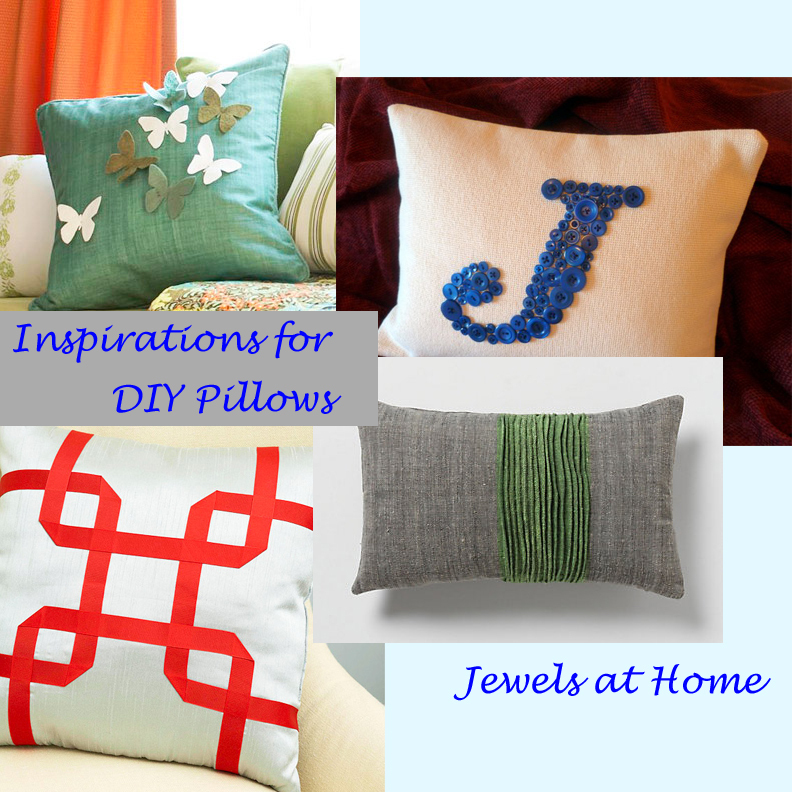 add two rows of ribbon around the border, in different colors or widths. Let me know what you come up with for your windows!